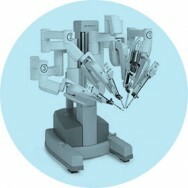 Da Vinci assisted robotic coronary bypass surgery speeds recovery. The specialists in all aspects of adult cardiothoracic surgery. Sydney Heart and Lung Surgeons provides comprehensive management of all aspects of adult heart, lung and aortic surgery including off-pump CABG, valve repair surgery, minimally invasive and robotic surgery as well as pacemaker, defibrillator and CRT implantation. Our multi-disciplinary surgical and nursing team that performs over 1,000 major heart and lung operations each year. We work closely with specialists from other disciplines, including cardiologists, anesthetists, intensive care specialists, respiratory physicians and geriatricians. If your condition is complex, we treat multiple-issue, often-elderly patients, who need difficult, potentially high-risk surgery.